Learn about Hip Dysplasia causes, diagnosis and treatment. Find out about professional development course for Health Professionals. Find tips to help cope with practical day to day activities during treatment. Read about Hip Dysplasia stories. Connect with others currently on a healthy hip journey. To ensure resources, education and support are readily available for all people living with hip dysplasia, or raising and working with those affected by it. Equal access to support, services and resources for everyone in the community. Empowerment and support for individuals and families through knowledge and advocacy. Minimisation of the impact of hip dysplasia on development, self care, leisure, work or play roles. Maximisation of smiles and fun for everyone involved. 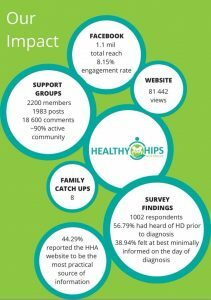 Healthy Hips Australia has a small, enthusiastic board of directors. We also have advisors contributing to the direction of the organisation. We thank them all for volunteering their time and expertise. Mr Bruce Foster, MBBS, MD, FRACS is the Healthy Hips Australia patron. For the past 30 years, Bruce has specialised in paediatric orthopaedics. He is currently the deputy director of the department of orthopaedic surgery at the Women’s and Children’s Hospital in Adelaide. Bruce also sits on the medical board for the International Hip Dysplasia Institute. Bruce’s passion for paediatric orthopaedics is reflected in his set up of the Bone Growth Foundation. Now known as the Bone Health Foundation, it funds research and treatment for Australian children afflicted with bone impairments. 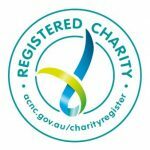 Sarah Twomey founded Healthy Hips Australia after recognising the need for a national body offering support and education to those affected by hip dysplasia. 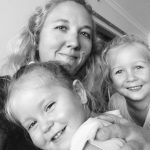 A mother of two children with the condition, Sarah was bewildered when her eldest daughter Eve’s two-month stint in a hip harness turned into a two-year ordeal. While her younger daughter Maya’s hip journey has been easier, Sarah believes that increasing support, education and resources in Australia will benefit all people impacted by the condition, along with the community-based health professionals working with them. The International Hip Dysplasia Institute (IHDI) is the world leader in promoting prevention, diagnosis and treatment of hip dysplasia. The efforts of our founder, Sarah Twomey, have been recognised by her appointment to the International Advisory Board of the IHDI; she is also featured in the Advocate Spotlight section of their website. The IHDI have endorsed several of our parent tips and hints handouts, sharing a link to these under the resources for parents section of their website. We look forward to contributing to the global efforts in promoting prevention, diagnosis and treatment of hip dysplasia along side the IHDI.